We recently spent some time with the inhabitants of the Detroit Centre of Design, who explained the difficulties of being an artist in the city. "Places like New York have things such as gallery space and funding for artists, you don’t get that in Detroit," noted Erik Nordin. "Here you just get given an open palette, if you want to do something you just need to get it done your own way, you’re not going to be getting much help." But does this theory hold true for those in the business community? While Detroit has a proud history of music and manufacturing, you wouldn’t necessarily pick it as a breeding ground for the type of nimble start-ups that populate other major US cities like San Francisco or Seattle. The regeneration of Dowtown Detroit has seen a number of start-up hubs crop up, and it was to one of these that we first ventured. 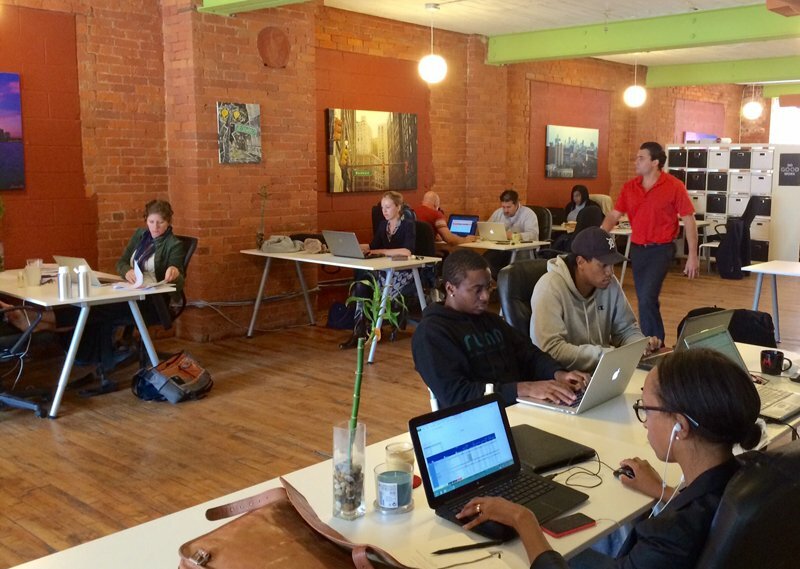 Bamboo Detroit is the city’s largest co-working space, with 85 members. We sat down with two of those members charged with heading up the community, Amanda Lewan and Brian R.F. Davis. "There’s a real creative class of people here in Detroit and that’s reflected in our community," explained Davis. "We have plenty of corporate refugees on our books. People not only want to run their own business but they want to do it out of Downtown Detroit. "It’s not just people local to the area either, we have members from Brussels, France and Africa. I heard someone say that you don’t need to go to Greece to see real ruins - we have plenty in this city. It’s true that it can feel like a desolate place but everywhere has crime and other problems, however here things are really changing for the better." The cross-section of start-ups in the city can at times look to be rather diverse, but there appears to be two strong strands emerging. Firstly, the makers, with fledgling entrepreneurs starting businesses that hark back to Detroit’s proud history of creating products. This is reflected in Bamboo’s own community, which includes everything from candlestick makers to phone case start-ups (reusing broken hockey sticks, no less). The community. An ecosystem that truly supports itself and celebrates success, start up in Detroit and the whole city will be behind you. Online connectivity. Rocket fibre internet is set to significantly speed up Downtown Detroit, coming at a pivotal time for the co-working spaces based there. Offline connectivity. The M-1 rail is nearing completion, linking Midtown and Downtown, which should help the flow of big business and start-up collaboration. While across the other side of the city The Floyd Leg – often named as the poster boy of Detroit start-ups – recently completed a massively successful £250,000 crowdfunding campaign for its innovative table leg product. Running alongside the makers are, as Davis points out, the creatives. A strong creative culture is being nurtured in the city, with organisations such as Detroit Creative Corridor not only encouraging start-ups to shine but also attracting large-multinational companies to open up their own creative hubs. Many of the Bamboo community roster fall into this category, working in graphic design, video production and new media. But where's the tech? Surely every start-up ecosystem needs a healthy selection of tech entrepreneurs to provide platforms for the goods and service industries to thrive? In search of this, we left Bamboo and made the five minute walk to Grand Circus, a business dedicated to bringing the tech skills required to start a business to a new generation of Detroiters. As well as their intensive eight week boot camps, they also house over 50 entrepreneurs in their co-working space. Interestingly, Grand Circus has received the backing of Google, with Google for Entrepreneurs selecting the location as one of nine premier start-up community spaces in the US – giving them both financial support and the start-ups who are based there access to Google resources. 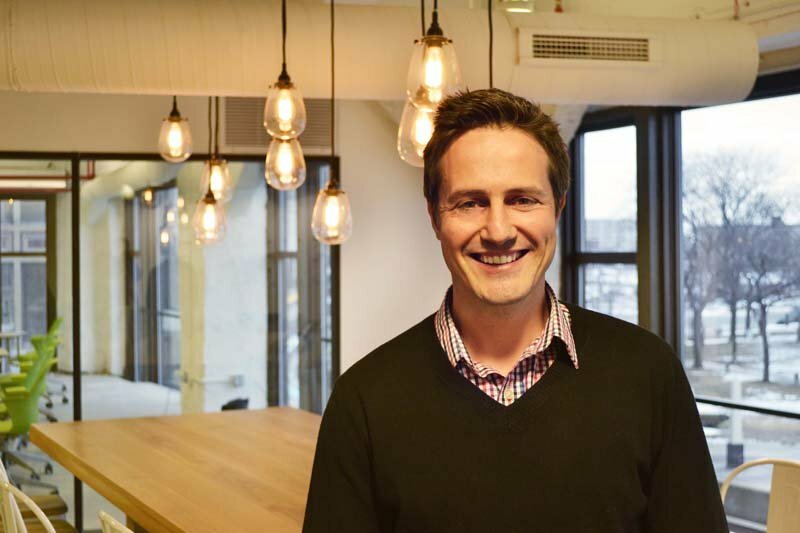 "From a tech start-up point of view we’re still in the early stages of the ecosystem," explains CEO Damien Rocchi. "The challenges are access to investment and talent. But if you launch a company here then you will receive a great level of support from the local community." Read: What do Detroit's signs tell us about its history? The very fact that Detroit has been selected by Google as a spot for one of a handful of premier start-up communities points towards something bubbling away. While other tech heavyweights have also seemingly spotted something on the horizon with Tumblr, Uber and Twitter all recently opening up Detroit offices. So how does Rocchi see the tech start-up scene growing in the years to come? 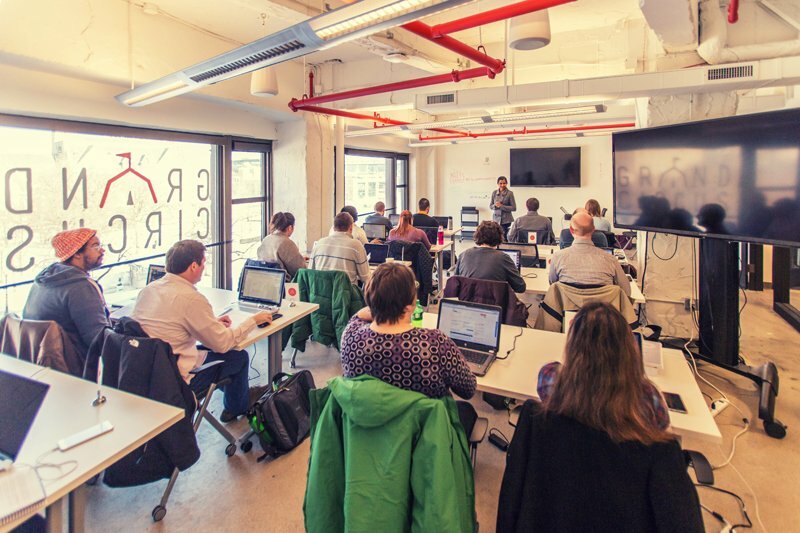 "There’s tremendous opportunity for tech start-ups in Detroit to align themselves with industries that are already well-represented in the city," notes Rocchi. "Let’s take the auto industry, for example. We all know how much of a big presence that is in the city, so why not concentrate efforts on tech for cars and innovate with some of the huge companies already here. It’s those sorts of tech businesses that could really do well here and lead the field." If a successful start-up hub was defined by its ambition and drive then Detroit would already be considered world class, but as it stands the goodwill needs to be turned into hard results in order to attract the talent and investment required to fight it out with the likes of New York and Silicon Valley. Investment. There’s just not the same opportunities for entrepreneurs as in other territories, it will take a while to reach a healthy level. Talent. The city’s lacking in skilled coders and developers, while it makes up in other areas, this needs to be addressed. Image. While some successful brands (think Shinola) have played off the Detroit reputation, other companies and individuals are still reluctant to venture into the city. But while the city may never wrangle away the cream of the tech crop away from these two stalwarts, it may well find itself as the premier destination for the world’s makers. Is there another city in the world with as an impressive history of manufacturing, an abundance of affordable studio/office space and such a strong hustling spirit?